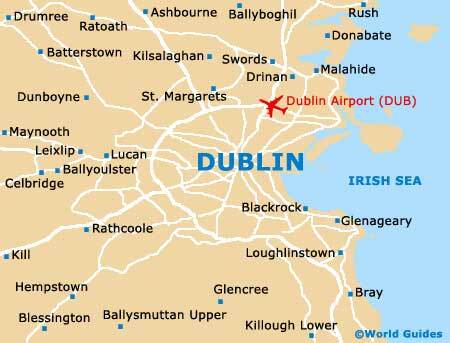 Dublin is an especially expensive city when it comes to hotels, although if you are prepared to stay outside of the city centre itself, the accommodation does become noticeably cheaper. Hotel rates in Dublin tend to rise significantly during the summer months, meaning that booking ahead is often necessary to secure the best deal. It is all about location when you consider your lodging options in the city, and if you are prepared to stay within the northerly suburbs, you will find that basic B&Bs here can be up to half of the price than a small room at a guest house on Stephen's Green. On a positive note, many of the accommodation options in Dublin often feature competitive weekend packages, while others discount mid-week breaks. Between late June and September, cheap and very basic university lodging is also available, at both Trinity College and Mercer Court. If you want to stay within the very heart of Dublin, then the Trinity College area, on the southerly side of the River Liffey, is well worth considering and comes with budget youth hostels suitable for backpackers. Hotels around Trinity College are just a short stroll from the vibrant Temple Bar area and also O'Connell Bridge. Those with plenty of money to spend on accommodation with find a number of appealing top-end luxury hotels to choose between. Especially noteworthy is the five-star Westin Dublin on Westmoreland Street, which was formerly a branch of Allied Irish Bank. For something a little more trendy, you may like to stay at the Clarence Hotel on Wellington Quay, which is co-owned by U2 rock stars, Bono and the Edge.